Kathy Dawson Books, November 2016. 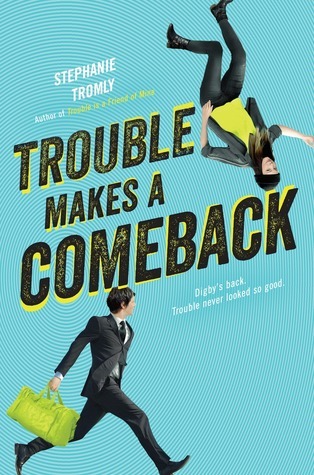 This satisfying sequel to Trouble is a Friend of Mine (2015) picks up 5 months later. Zoe Webster, now at the end of her junior year, has settled into the social scene at River Heights, and even has a boyfriend, football team member Austin Shaeffer. But then Digby returns with new leads on the mystery of his sister’s abduction 9 years previously. The hardboiled mysteries work well, but, for me, are really just a vehicle for the characters. The central twosome are just as charming, irritating, and sharp. Zoe’s narration shows her as the smartest and funniest high schooler around, and Digby continues to surprise with skills, self-doubt, and focus. And then there’s the crackling tension of their will they-won’t they romance, now complicated by Zoe’s relationship with Austin, and Digby’s with punk girl, Bill. The support characters now have a bit of room to spread out and develop even more depth. Entitled rich girl Sloane shows more social intelligence and self-knowledge; Felix is still the stereotypically supersmart Asian kid and the only non-white character, but he has become the manager of, and something of a stud for, the girls’ soccer team. Adults are not just foils for the teens. Both Zoe’s and Digby’s mothers are complex, flawed, richly created human beings, and the father figures in Zoe’s life are a nicely contrasting pair. The bad news is that we’re left on a pretty abrupt cliffhanger. The good news is that there’s more to come from River Heights. Thanks to Kathy Dawson Books and Edelweiss for the digital review copy. Margaret K. McElderry Books, 2015. 400 years ago, the world collapsed into warring factions, and Talis, an Artificial Intelligence, imposed order by keeping the children of the political leaders hostage and under promise of death if their faction declared war. 16 year-old Greta is one of these Children of Peace, kept in a Prefecture in Saskatchewan. When a new alliance is formed that borders on her Federation, and their hostage Elian is brought to their Prefecture, Greta’s fear that she will soon be summoned to die for her mother’s decision seems about to be realized. Bow (Plain Kate, Levine, 2010) has created an extraordinarily detailed and coherent world. Within a few pages, she answers all my ‘hang on, how does this work?’ questions, and though the logic of these hostages is quite horrible, it also actually makes sense. The decisions that Talis has taken on behalf of the world, in terms of peacekeeping, technology, and infrastructure, are brutally austere, and yet also something that could easily be in our future. Greta is a challenging character and narrator. She is a rule abider, and follows what is expected of her as both a Princess (the world has gone rather feudal) and a Child of Peace. This makes her initially somewhat stiff and unlikeable, and it does appear that we are going to go down the well-trodden track of her only seeing the error of her ways when the defiant and rebellious Elian turns up. But Ms Bow is far too skilled a writer for that, and the second half of the book is full of thrilling twists and turns, as Greta takes hold of the power she did not realize she had. The large cast of multicultural support characters, both human and AI, are vividly drawn and fit into the world with ease. Princess Xie, Greta’s roommate and best friend since she first arrived at the age of 5, is emotionally exquisite and is shown to have far greater understanding of the system than anybody else. And Talis, despite being the world-ruling AI, is also hilariously and scarily flippant about his power and decisions. Talis’s rule is to ‘make it personal’, and Ms. Bow has written a very smart novel about the conviction and perception of those individuals who challenge the imposed solution despite the stupidity of the human race. This is the first book in a series, and fans of intelligent dystopian fiction will love it. With this very enjoyable first book in her new duology, which takes on the big theme of what it means to be human, Lauren Oliver returns to the sci fi/dystopia genre of her splendid Delirium trilogy. Lyra and Gemma are both connected with the mysterious Haven Institute which is situated on a remote Florida island. Lyra, or 24, is one of the many replicas (or clones) that live there. Gemma’s father was one of the founders of Haven. When a bomb goes off on the island, Lyra escapes and Gemma makes her way down to Florida – from their different perspectives, they both want to find out who they are and what Haven’s purpose really is. 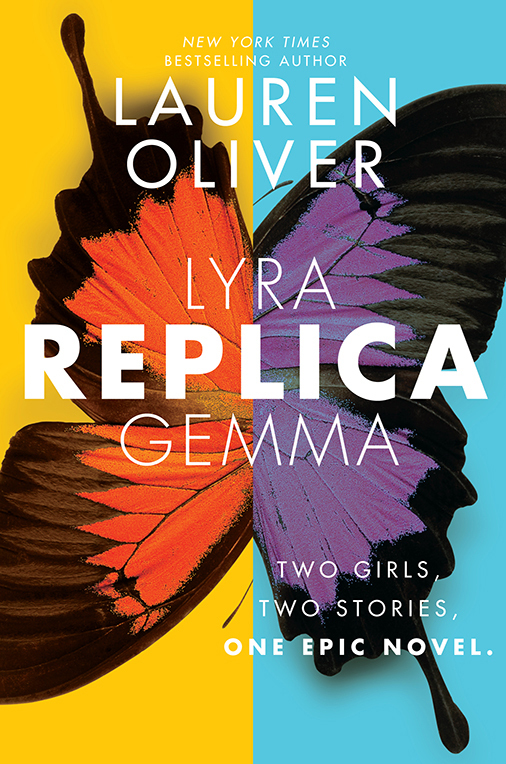 Told from the perspectives of Lyra and Gemma, the author has taken the interesting if not entirely successful decision to write this as two novellas rather than the usual interleaved chapters. I applaud trying new things, but I feel maybe it would have worked better in the traditional way. In the intro, Ms Oliver talks about the Rashomon effect, but it is much harder to detect this when you are not reading the two accounts side by side, particularly in an eBook. The created world is thought-provoking and cohesive, and, as she did with Delirium, the author gradually drops in new information to build a fuller picture, but does this without ever leaving the reader frustrated or confused. The science of what is going on at Haven comes in a couple of big information dumps and I found it a bit confusing, though I suspect it’s not essential to follow precisely. Suffice to say that the scientists at Haven are Up To No Good. I really like the two narrators and the voices that Ms Oliver has created for them. Lyra is precise and a little cold. Ms Oliver is largely successful in creating a character that knows nothing about the outside world, except what she has occasionally seen on TV or overheard from the Haven staff, and then to convey her wonder and confusion as she encounters it. Gemma becomes more intriguing as we get to know her and her family background. Both girls have love interests (and all main characters appear to be white). Lyra flees from Haven with hunky 72, who is of the silent brooding but “beautiful” type, and Gemma’s ride to Florida is Pete, who is of the fresh-faced, handsome, nice, and inexplicably drawn to the outcast girl type. Neither really develops much beyond that. As the young women dig deeper into who they are, their beaux’ responses add new dimensions when the idea of love as a marker of humanity is explored. The plot rattles along, with twist following twist, and the two accounts add developments without being repetitious. Unfortunately, the novel just sort of ends on an incomplete note, so we’ll have to wait for the concluding sequel, though yay for dropping the treading water middle book of a trilogy! Ms Oliver’s books are always worth reading, whether realistic or speculative. Fans of her previous novels won’t be disappointed, and Replica could well attract some new readers. I have really enjoyed Ms Talley’s two previous books, particularly What We Left Behind (2015), one of my top books of 2016. Both those books were about, among other things, young women coming to terms with their gender and sexuality. 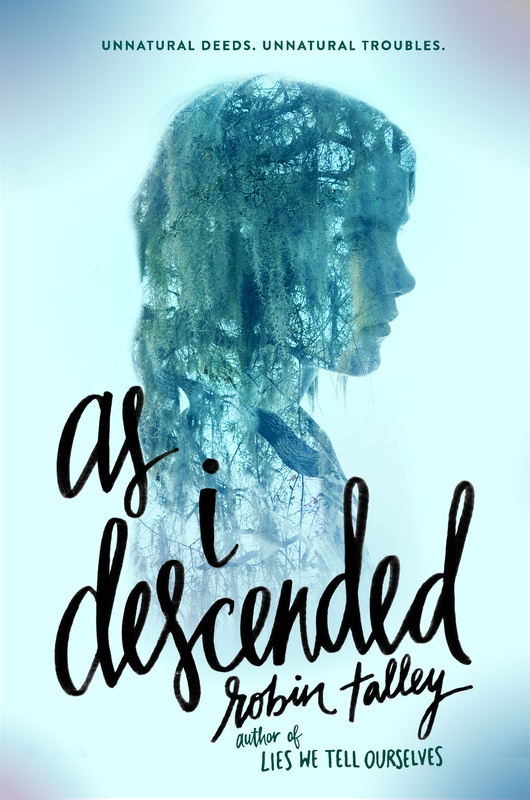 In her latest, many of her characters just happen to be gay and lesbian, and none of them have any issues with this (though their parents might have), and the author has ventured into genre territory – an exceedingly chilling modern day retelling of Macbeth, setting in a Virginia boarding school. When spirits tell brown-skinned Maria, through a Ouija board, that she will have what she most desires, she decides to take matters into her own hands, goaded on by her white girlfriend Lily. The prize is the prestigious Cawdor Kingsley scholarship, and once the spirits offer it, Maria can’t stop wanting it, and will let nothing get in her way, beginning with deposing Queen Bee, Delilah. Though this isn’t a completely faithful rendition of Macbeth – none of the characters have children, for example – it is surprisingly close and works extremely well. Some of it is a little forced – the football field is rather clunkily called Dunsinane – but the characters and their motivations and arcs are remarkably faithful. It will work just fine for readers unfamiliar with the Scottish play, but for those who do know it, there are some clever nods and reimaginings. The story is told from the point of view of several characters, and they are mostly well-developed despite being players in a melodramatic story. However, Maria/Macbeth starts off well, but as she gets further into the web woven for her by the malignant forces, l lost the feel of her and she seemed to become more of a chess piece to get through a plot. However, Lily/Lady Macbeth and Brandon/Banquo avoid this, and are heartbreaking in their roles. Because it’s based on a Shakespearean tragedy, there is a lot of Gothic drama and the writing becomes very feverish and a little overwrought. However, Ms Talley brings a creepiness that kept me awake and a little nervous in my holiday cottage in Ireland, and which will appeal to fans of Maggie Stiefvater. 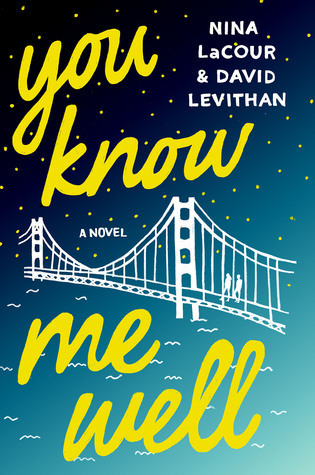 Two YA heavyweights – Nina LaCour (The Disenchantments, 2012) and David Levithan (Every Day, 2012) – have co-written this glossy and highly romanticized gay teen love story that is, sadly, just not quite as good as I’d hoped for from these major talents. Mark just can’t get out of the friend zone with Ryan, and Kate is in love with a girl she has never met. Over the course of San Francisco’s Pride week, these two high schoolers from the East Bay work out their relationship problems, though not necessarily as they might have planned, and come to appreciate their new “rainbow alliance” with each other. Mark and Kate alternate narration, and though I’m assuming each author wrote as one of the characters, to be honest, I find their voices a bit interchangeable. As they make their way through the week they get to know both themselves and each other, and can start seeing the shape of the future. The main characters are attractive, though a little too precious, and it is noteworthy that nearly all their friends are gay and lesbian, though pretty much everyone is white and middle class. As you would expect, parents and other adults are in the background, and all are tolerant and supportive. Art, and the creation and inspiration/source for it, is a key theme. Kate paints and there are some descriptions of her work, as well as a whole (unlikely) plot thread about her having an exhibition at a small San Francisco gallery. There is also a pivotal young queer poetry slam, with several of the poems written out in full – I have to say this does not work for me as well as it might do as spoken word. I’m not the audience for this book; as Kate says “We grow up and we lose ourselves.” I’m no longer a teenager, and I find some of this yearning and feeling a bit eyerollingly silly, even as Kate predicts I will. Though I have enjoyed individual novels by the two authors much more and this feels like a bit of a tossed off effort, I think fans of smart YA romances will enjoy it. Thanks to St Martin’s Griffin and Edelweiss for the eARC.